After The Harvest Of 2018, Should Growers Use Saved Or Certified Seed In 2019? It was a hard harvest in Alberta in 2018. Due to the wet, cold and snowy conditions in September and October, there were estimates that more than five per cent of all crops had yet to be harvested at the beginning of November. After a hard year, bin-run seed may be tempting — it’s still sometimes used by Alberta producers. Although it may seem to be the best option, especially in terms of cost, is another look at that choice needed? Saved seed must be cleaned and treated, and often germination tests are required. Quality can vary greatly. Certified seed has a risk-assurance program included with purchase, assuring growers the seed has met very high standards for quality and varietal and mechanical purity, which is verified through third-party analysis. As is commonly known, use of certified seed verses saved seed varies by crop kind. “I expect in Alberta and most of Canada, hybrid canola, for example, is almost exclusively grown from certified seed,” says Roy van Wyk, executive director at the Canadian Seed Institute. This is confirmed in a recent JRG Consulting Group and SJT Solutions report for the Seed Synergy Collaboration Group called Canada’s Seed System: Economic Impact Assessment and Risk Analysis, which estimates the use of certified seed as a percentage for a number of the major crop kinds. From 1970 to the 1990s, Randy Preater, a former manager and now advisor with the Canadian Seed Growers’ Association, has only ever used saved seed for growing his on-farm feed barley when he farmed near New Liskeard, Ont. “There really wasn’t as much economic incentive to buy high-quality seed of a new variety in that situation with low input costs, and I had a trusted seed cleaner in my neighbour,” says Preater. However, his canola and pearl barley contract crops were planted with certified seed, in addition to some other crops. “For my alfalfa-timothy-brome hay crops, I also planted certified seed to make sure I was getting germination and purity or weed seed guarantees, and a variety well adapted to local conditions with a high tolerance to winter kill. In his long, first-hand experience, Webb says he hasn’t seen the quality of certified or saved seed change much over time. “Certified seed quality has had a long history of being reliable, traceable, monitored and able to provide new genetics to the market. All of the great things about that system are luckily still in place,” he says. Webb has gone out on many field inspections and he’s very impressed by the attention and work a pedigreed seed grower puts into a seed crop. He says seed growers spend a great deal of time choosing appropriate varieties, carefully planning rotations and cleaning equipment, as well as ensuring previous land use doesn’t impede quality and protecting the crop from both pollen and physical contamination. Purchase of certified seed also supports innovation and development of new traits and varieties. 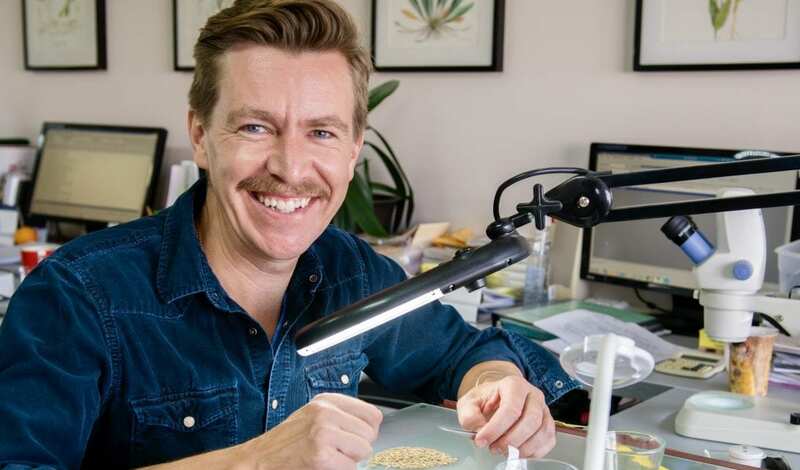 “New varieties and crop kinds seem to be getting more important as we face more and more unpredictable production and harvest weather,” says Webb. To calculate saved seed requirements, producers should save an amount that includes an additional 10 per cent for cleanout. “It is also advisable to have extra bushels available in case the grain is mishandled, the seeder malfunctions or a reseeding scenario arises,” states the report. In wheat, the single biggest cost associated with saving seed is the foregone opportunity to receive commercial value for harvest. In addition, the cost of saved seed for wheat includes storage cost for about six months, cleaning costs — including running grain through an optical/colour sorter, which is considered to be standard practice — elevation and trucking costs for cleaning and labour. As the price of wheat decreases, the relative costs of saving seed increases.